GIVEAWAY TIME! Win A Karl's Bait & Tackle Swag Pack! GIVEAWAY TIME! Win A Karl’s Bait & Tackle Swag Pack! Once again, it’s GIVEAWAY TIME at Karl’s Bait & Tackle Shop! This time, Karl’s making it easier than ever to win, with multiple ways to enter! Just enter your name and email in the widget below to get started. 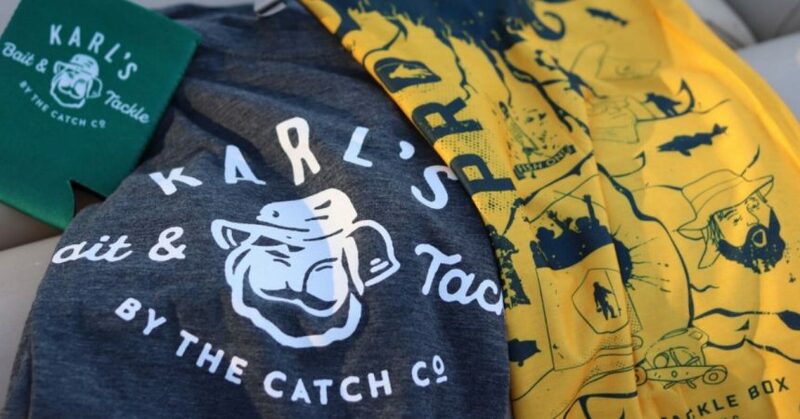 The swag pack will include (1) Karl’s Bait and Tackle Logo T-Shirt ($19.99 value), (2) MTB Necko ($12.99 value), (1) MTB Snapback Hat ($24.99 value), (1) Karl’s Bait and Tackle Coozie ($2.99), and (1) MTB Hoodie (34.99). So, get on it and win some swag already!